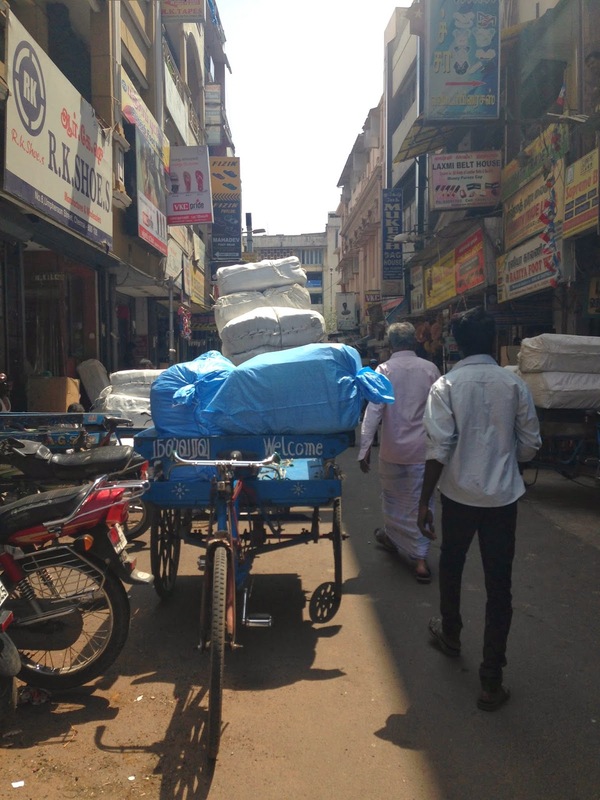 I had the opportunity to attend a conference last week in Chennai, India. Chennai is the capital of Tamil Nadu state, which is just a short plane ride away from Sri Lanka. Since I spent most of the winter outside in below zero weather, the prospect of spending time in 70, 80 and even 90 degree weather was a dream come true. 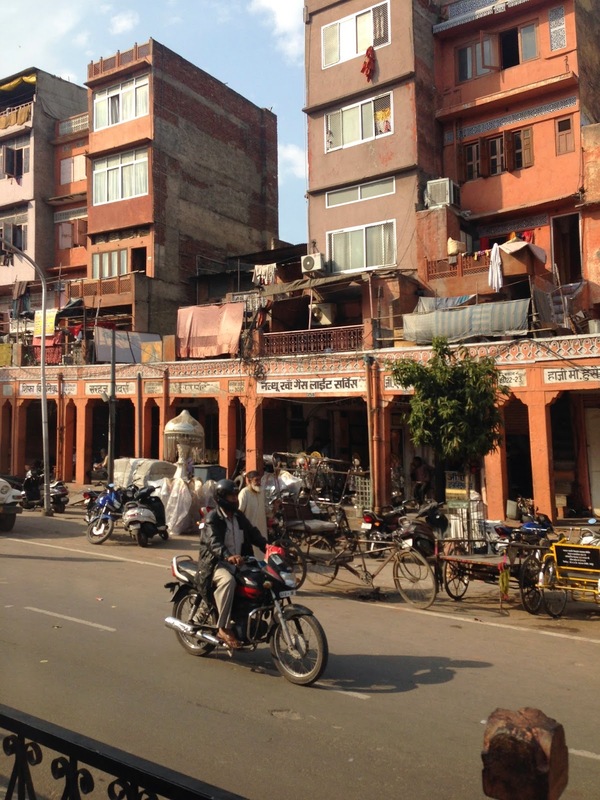 So I expanded the trip and toured the cities of Delhi, Accra (where the Taj is) and Delhi. At first, I felt a little bad leaving work for so long. The other traders in the bazaar certainly don't have the luxury to just pick up and fly away for ten days. Working in the bazaar is a 24/7/365 business. Granted, many Tajiks fly home to their families during the winter months, but they take turns watching the containers and managing their businesses here in Kazakhstan. Plus, the "trade" (i.e. business) starts to pick up at the end of February and beginning of March, right before International Women's Day on March 8th. And from a research view, there was some interesting activity in the bazaar. Our neighbor was unfortunately unable to make his rent payment and had to give up his container, so just as I was leaving, the new tenants were moving in their goods. So I was interested to see how the dynamics would play out on a micro-level and whether or not they would introduce competition. 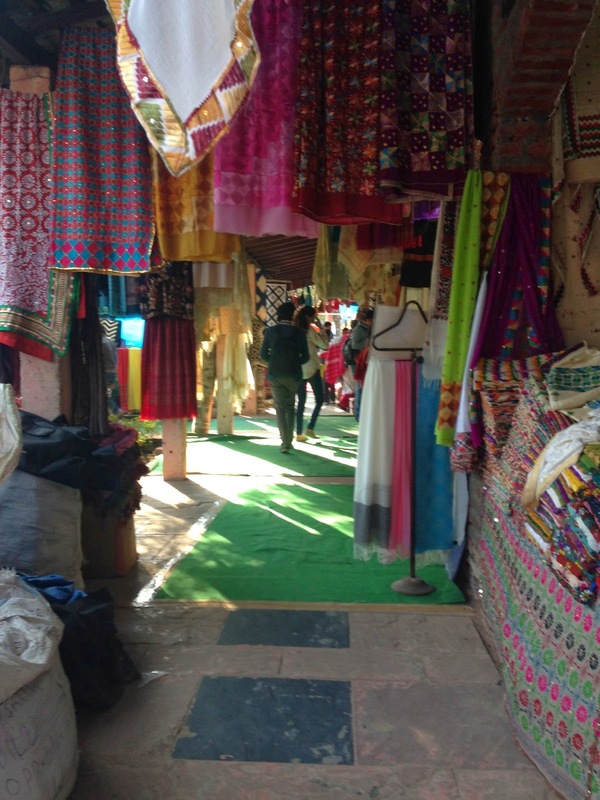 Nonetheless, I ventured down to South Asia for ten days and when I returned to the bazaar this past weekend, I was pleased to be greeted by all my colleagues and fellow traders. They asked how India was, flipped through my phone photos and listened to my stories. As a researcher, this means so, so much to me -- the fact that I actually blend in and have established a community there. As for business, it is picking up! The weather is now above freezing and the snow is melting. Sunday felt like a Sunday in October -- when I am running like Forest Gump between containers and dealing with clients. And our new neighbors are nice. They are two Tajik relatives (rodsveniki) who sell women's and female shoes -- the container is split down the middle and they share the rent. Interestingly, they had a container farther down the row in a less ideal location and moved to this location, which is closer to an exit/pathway (hence more valuable), to increase business. They also have a container in Adem, one of the roofed "trade centers" that is considered an elite part of the Baraholka trading area. I asked why do they have a container in my bazaar if they are in Adem. They responded that business in the outdoor bazaars is quite good. This is understandable, as there is good foot traffic, serious consumers, and a mix of income levels, while in Adem you are mostly catering to higher-income clients. It is interesting because to most analysts and policy officials outside the bazaar system, there is a belief that traders are forced into trading and they just end up randomly at a bazaar. But in reality, there is a methodology to selecting your trading space and a lot of people own multiple spaces and sell the goods at different price points. I know one trading family that sells men's suits and jackets from Turkey. They sell the same goods in several different containers in different markets in Baraholka. I really don't know too much about Indian culture. In Northern India, I could appreciate the Taj Mahal, Red Fort in Accra and Amer Fort in Jaipur, as these were products of Mughal influence in India. The Mughal Dynasty was formed by Babur, who was a direct descendant of Timur and of the Chingissid dynasty (Mongol). Basically, Northern India has some elements of Central Asian history and culture. But India is not a country -- it is a continent. While the official languages are Hindi and English, depending on the state, the locals speak Tamil, Hindi, Bengali, Gujarati, Urdu, or many, many others. I'm used to blending in as a white, Russian/Turkish-looking girl who speaks Russian. So to come to India, I definitely stood out, which was a good experience as a tourist. I took a three-day tour from Delhi to Accra and Jaipur and was excited to meet a Russian actress who lives in France. The tour group included a family of five Indian women, an Indian husband and wife from Calcutta, two Japanese exchange students and an Indian guy from Bangalore. Quite the Brady Bunch. But it was fun to have a fellow Russian speaker so we could gossip between each other. It was also extremely entertaining for me to tour India with a Russian who grew up in the Soviet Union. In India, they love to crank up the Air Conditioning. For anyone who has studied in Russia, you know that keeping the AC on at night and/or opening the window is a death sentence. So in our hotels, she requested a heater. The Indians had a hard time understanding this... And on the bus, the tension between Indians and their preference for AC and my Russian friend, was quite tangible. And for me, quite hilarious. On a different occasion, we were discussing the overwhelming amount of trash on the streets. I mean, cows and chickens just stand in the sidewalks eating garbage for lunch. It is truly gross and it is no wonder that India has one of the highest rates of diseases and disease transmission in the world. My Russian friend accurately noted that during the Soviet union, they were poor, but everything was clean. Anyways, I don't really have anything intelligent to say about India. Overall, I was happy to have warm weather, spicy food, and see the beautiful Indian crafts. India has such a rich culture and I barely scratched the surface. So I will attach some photos of highlights. A picture from the Delhi Haad market. This bazaar is really cool in that it offers 15-day leases for (at least) 10,000 rupees to craftsmen from different parts of India. This is an opportunity for them to see other artists' work and to sell their own to clientele (i.e. tourists) with deep pockets and a love for the exotic orient. This picture was taken in a less-popular area of the bazaar that was tucked away behind a flight of stairs. I always go to the more remote corners as I know the rents are lower and the prices are lower. Plus, there would be fewer people to distract me from chatting with the artists. I ended up buying a table cloth for my mother from a trader who said he was on "the wrong side" of the market and has bad foot traffic. I bought the table cloth because it was beautiful, but it was funny to be the customer and on the other side of the trader-client relationship in a bazaar setting. Anyways, if you're in Delhi, go to Delhi Haad (across from INA market) -- you'll find a great variety of high-quality items. The Taj Mahal. A fun fact: the Maharaja who built the Taj Mahal was inspired by the Registan in Samarqand, which was built by Timur. Fatehpur Sikri. Basically a Presidential residence complex. Jantar Mantar. 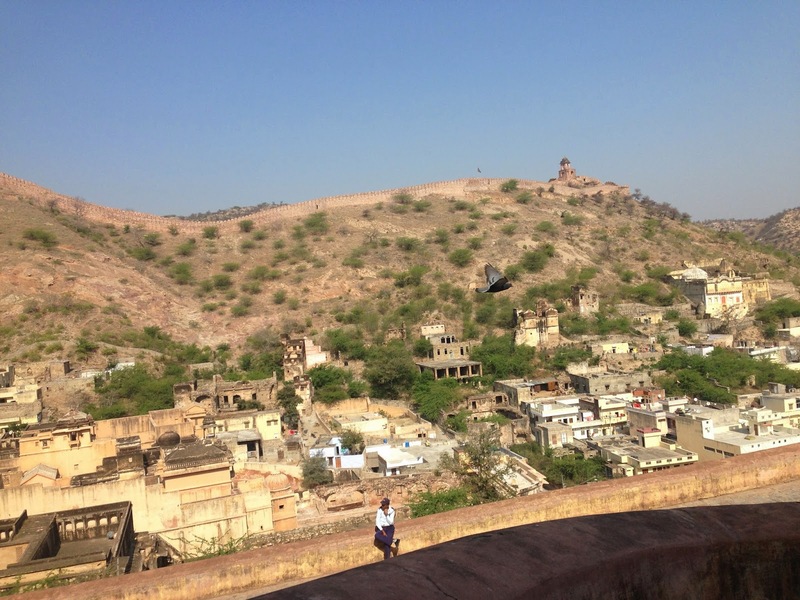 An ancient meteorological complex in Jaipur. 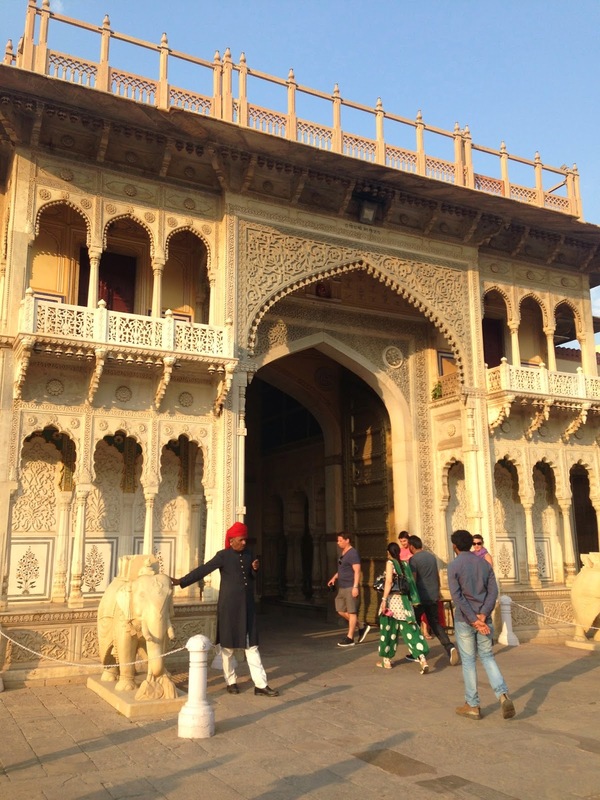 A part of City Palace in Jaipur. 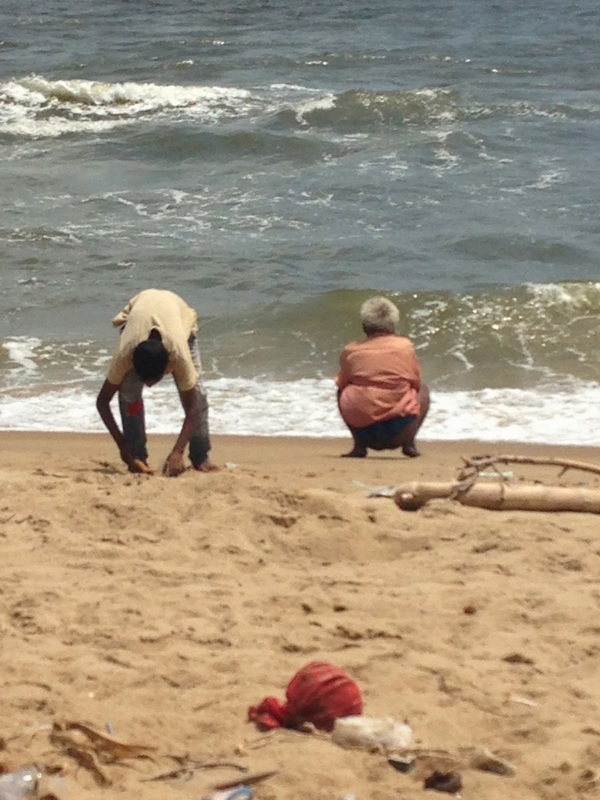 A view of Marina Beach in Chennai. The beach itself is beautiful, but unfortunately littered with garbage. As I was enjoying the beach, some dude pops a squat and takes a number two in the ocean. Really? I was touring Chennai on International Women's Day (March 8). Near the beach, a group of women organized a peaceful protest. Unfortunately, I do not know exactly their policy agenda. 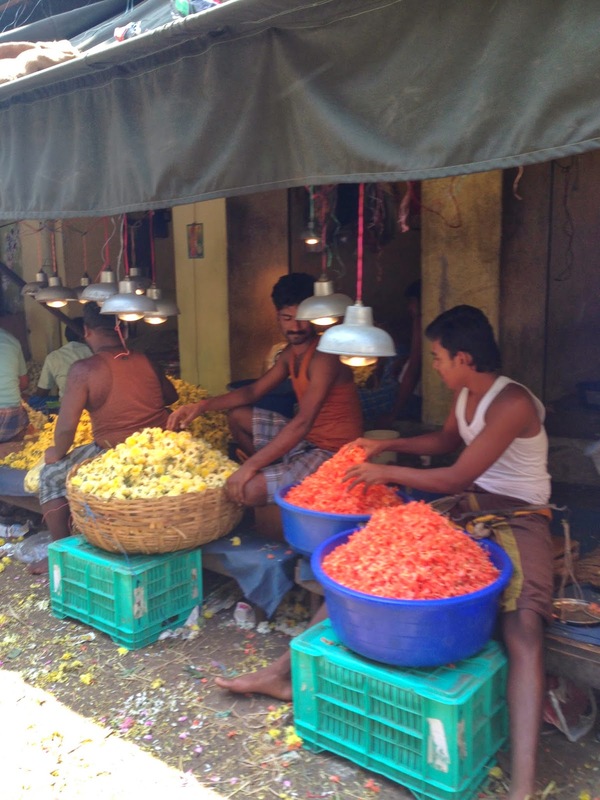 The flower bazaar in Perry's Market, George Town, Chennai. George Town -- the name is clearly a legacy of British rule -- is a part of Chennai with trading activity and administrative buildings. Interestingly, Perry's Market is an area where traders sell their goods wholesale and retail. It is kind of like a Baraholka. I saw a lot of signs for wholesale trading so it was cool to see how localized, small-scale wholesalers are important in supply-chaining in a developing country outside of Kazakhstan. The goods here are mostly locally produced -- from shoes to paper and stationary supplies to silks. This picture is of one of the flower traders. Street shot somewhere on the road between Delhi-Accra-Jaipur. I forgot the name of this place. It is part of a Mosque and Mausoleum complex in Jaipur. Finally, I want to wish everyone a Happy Purim, a happy Saint Patricks Day and a Happy Holi!